RHoK was approached by the Warrandyte community, from rural Victoria, to build a website platform to provide local residents in fire prone areas an early warning system. 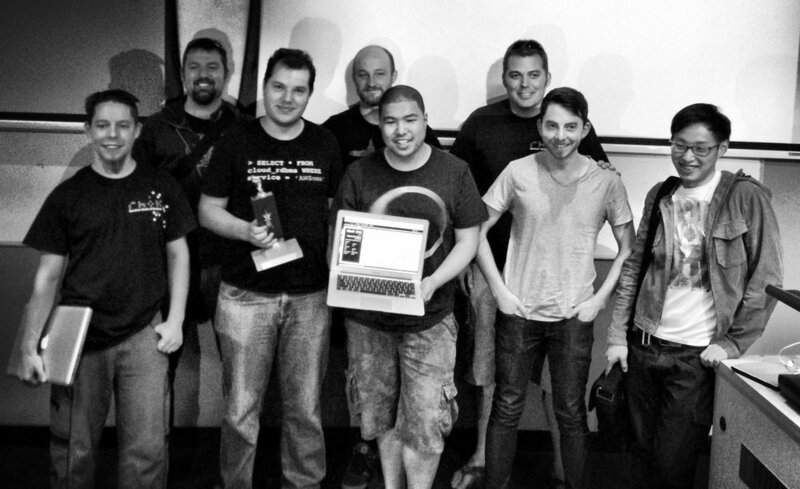 We worked with them at the Melbourne Summer Hackathon in 2013 to help them build the platform from scratch. The page brings together information from the CFA, Bureau of Meteorology and VicRoads to provide a one stop shop for residents who want to know about fire warnings in the area. The page also has a Twitter feed where people in the community can let others know quickly what is happening wherever they are. The project is live, and has been adopted by another nearby community in Aurora too. Hot Spot is a system designed to help firefighters. The changemaker came with the idea that firefighters all have personal smart devices, but official tools are just paper maps and radios. They worked with RHoK at the Summer 2013 Hackathon to develop working prototypes of a web-app for displaying and annotating maps, and some radio hardware for syncing data between fire trucks. WithOneSeed encourages citizens, schools and business to take responsibility for the impact of their computer use on the environment. Carbon emissions from global computer usage (approx. 3.6%) are nearly at the same level as carbon emissions from the global aviation industry (approx. 4%). At the Summer 2013 Hackathon, we helped them develop MyCarbonCapture. It's an online Offset Calculator that a) keeps track of data usage of mobile phones, tablets and other computer devices, b) calculates the C02 emissions generated by the data usage and c) encourages people to take action to offset the cost of their computer device emissions. All funds donated to the WithOneSeed Computer Offset Program go to planting and maintaining trees in reforestation projects in subsistence communities in Timor Leste. Resilience is a simple mobile application for community members to report, find and resolve non-life-threatening issues following a natural disaster. It was developed at the 2013 Summer Hackathon by a team of volunteers in response to the devastating bushfires of that year. The idea behind it is that community members can share small things that are deemed non-essential by disaster aid organizations, but which still make a difference to people int the wake of a disaster. The app was released on the app store and is available for any community to download and use following a disaster. Witness King Tides is a citizen science project that helps us visualise the potential future impacts of sea level rise. When king tides hit, they ask coastal communities around Australia to head out and snap pics of local landmarks during the very high tide. These photos capture what Australia's coastal communities may look like in the future, as global sea levels rise. Together, these images build a picture of the threat posed by sea level rise across Australia and help track the future impact of climate change. The Witness King Tides team has been working with RHoK Australia since the 2013 Melbourne summer hackathon. Thanks to a series of RHoLLs and another hackathon, the team has developed a new website and app that is far more user friendly and robust.